Along with the over 500 Coforta Cooperative affiliated growers, we supply and distribute a complete, fresh, year-round assortment of fruit, vegetables and mushrooms to (international) supermarkets, wholesalers, caterers and the processing industry. The Greenery collaborates with its growers to create value in fruit and vegetables. The Greenery is an international sales organisation which specialises in fresh fruit and vegetables. As part of the Coforta growers’ cooperative, we supply a full range of fresh fruit and vegetables to supermarkets, wholesalers, caterers and the food-processing industry all year round. In order to supply our clients throughout the year, we collaborate intensively with our growers and partners both at home and abroad. Our expertise consists of efficiently managing and controlling our broad product range, which not only meets society's requirements, but anticipates them too. We ensure that our growers are paid a fair price and offer them continuity in the purchase of their product by entering into long-term partnerships with our clients. For our clients, we develop aspects such as innovative products, packaging and shelf plans based on our expertise and market research. We also maintain contact with our end users by means of consumer panels, pass on the wishes of consumers to the seed breeders and are represented in sector and trade organisations. Intensive collaboration allows us to connect all the links in our chain. 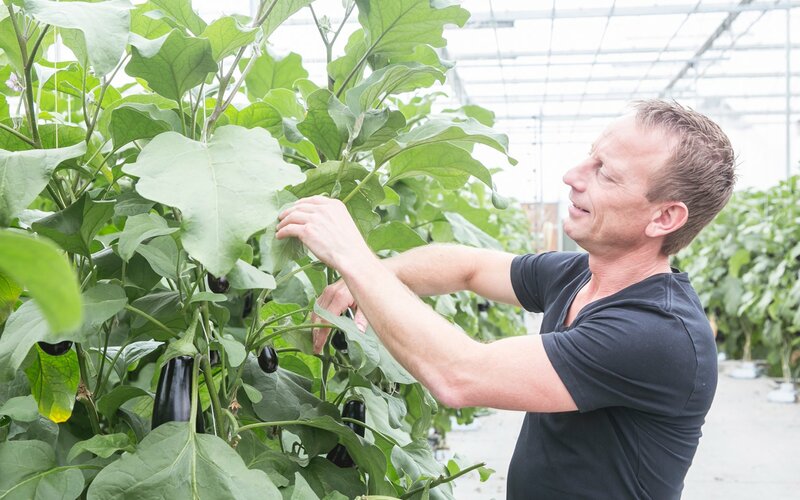 As a sales organisation of over 500 Dutch and foreign growers, brought together in the Coforta growers’ cooperative, The Greenery collaborates with its growers, clients, suppliers, partners and staff to create value in fresh fruit and vegetables. Together, we strive to make healthy, safe and affordable fruit and vegetables available to all consumers. In order to make fresh fruit and vegetables available to all consumers, we collaborate with every link in the chain. By showing respect for people and the environment, we aim to achieve sustainable and socially responsible cultivation. Every link in the chain receives a fair price in order to guarantee continuity. This allows growers to invest in new opportunities in the areas of cultivation, sustainability and quality. In turn, The Greenery invests in technology, knowledge and collaboration in the supply chain. These investments allow us to satisfy the demands of our clients and other parties on a daily basis.